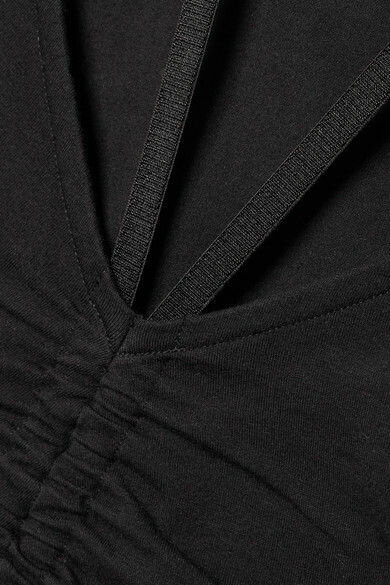 alexanderwang.t's black bodysuit is detailed with a halterneck strap inspired by lingerie. Ruched at the front, it's made from soft stretch-cotton jersey and cut with a thong base. Style yours with sweatpants for an effortless weekend look. Shown here with: RtA Track pants, TRE Hoodie, Alexander Wang Belt bag, Acne Studios Sneakers.